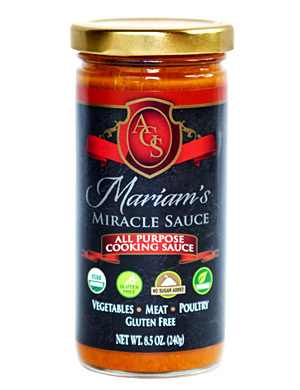 Miriam’s Miracle Sauce is a tomato-based condiment with blended spices that add flavor to vegetables, meat, and poultry. 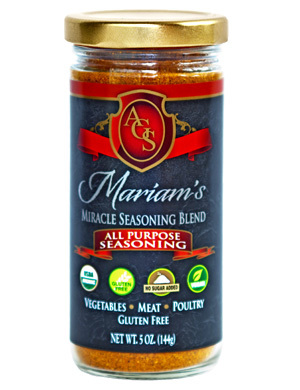 Produced in limited quantities to assure freshness and laboratory-certified gluten-free, the sauce is low in sodium with no sugar and uses only natural preservatives. Available in Mild and Medium Kick styles. Take advantage of our special case pricing! A case is 12 bottles. 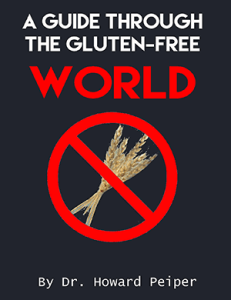 Celebrate the abundance of a gluten-free lifestyle, and the rewards are plentiful. The Best seasoning & sauce I ever had. Love it. it’s MIRACLE!